Combinatorial optimization is a multidisciplinary scientific area, lying in the interface of three major scientific domains: mathematics, theoretical computer science and management. 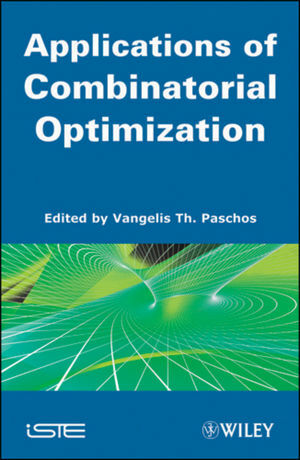 The three volumes of the Combinatorial Optimization series aims to cover a wide range of topics in this area. These topics also deal with fundamental notions and approaches as with several classical applications of combinatorial optimization. “Applications of Combinatorial Optimization” is presenting a certain number among the most common and well-known applications of Combinatorial Optimization.